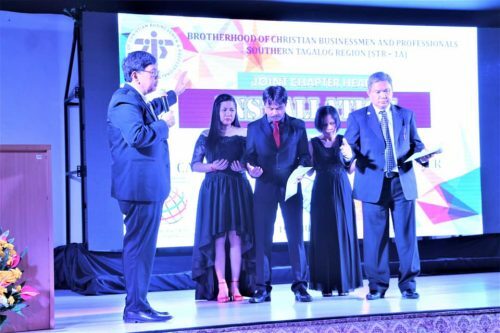 Two chapters in the booming province of Laguna recently installed new leaders, both geared-up to sustain their respective chapters’ growth and expand their reach. 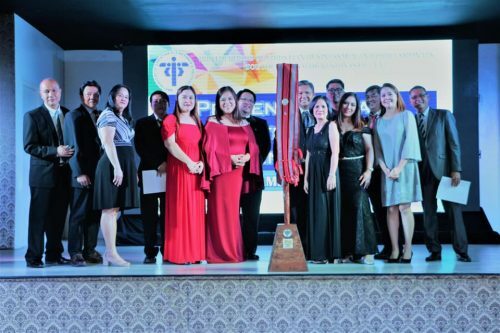 The Calamba and Los Baños chapters held simultaneous installation rites of their Chapter Heads on 19 January 2019 at the Circulo Paseo Uno de Calamba, witnessed by BCBP national and local leaders, their respective members, as well as guests from other chapters in the Southern Tagalog Regions 1A and 1B. 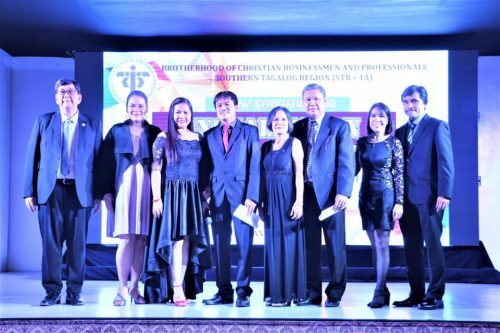 BCBP President Joffe Almoro and May Almoro and Regional Council Director for Southern Tagalog 1-A Edgar Ramilo and wife Helen Ramilo pose with the new Chapter Heads and their respective wives. No less than BCBP President Jose Alfredo “Bro. Joffe” Almoro led the installation of Melchor “Bro. Choi” Hinagpis and Virgilio “Bro. Vir” Marilag. Bro. 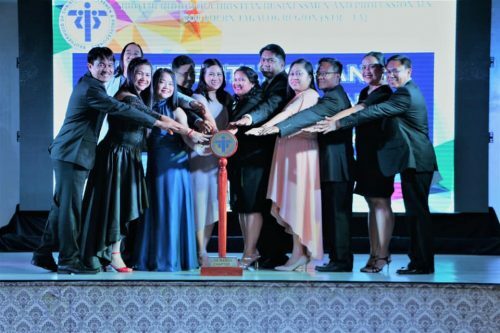 Joffe is no stranger to these chapters, having served as Chapter Head of Calamba almost two decades ago. 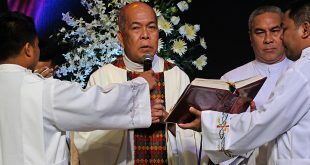 He challenged the new CHs to continue serving as the “shepherds” of their chapters, providing pastoral care and ensuring the spiritual nourishment of the members and their families. The new CHs both responded enthusiastically. Bro. 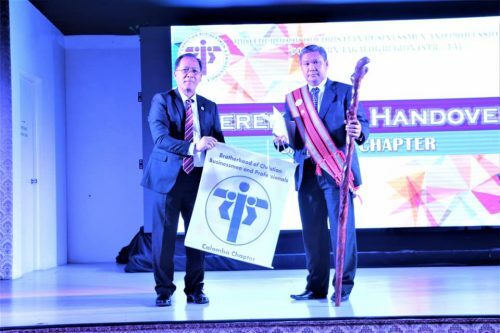 Choi Hinagpis, 53 years old, has taken the helm of the Calamba Chapter from his predecessor, Lyndon “Bro. Don” Alarcon. Bro. Choi is a businessman engaged in trading and food services. 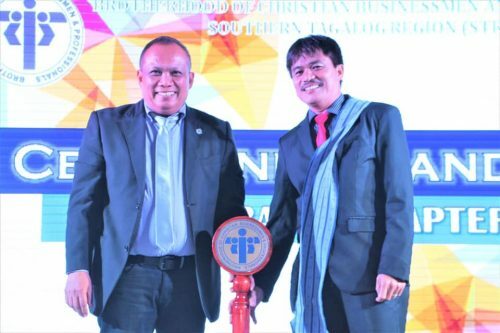 He was product of Calamba’s BCLP 15 in 2010, and he has served as Music Ministry head, Action Group Leader, BCLP course leader, Mission coordinator, director of the Sta. Cruz mission, and Formation director. Bro. Choi is married to Sis. Anilyn Hinagpis, and they have three sons Ryan (19), Robin (16) and Ken (15) and one daughter, Katherine (18). In the next three years, Bro. Choi aims to elevate their Sta. Cruz Outreach and Makiling Breakfast into full-pledged chapters. 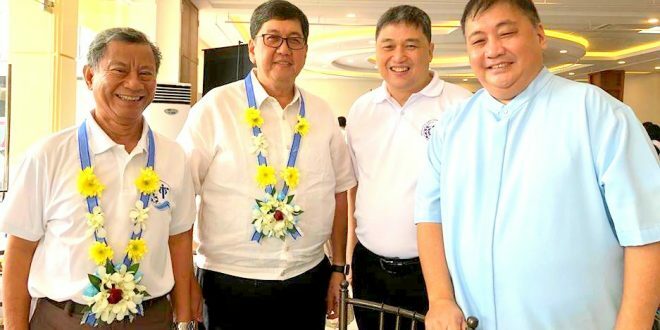 He also wants to grow Calamba’s membership from the present 176 to 250, develop new leaders for succession planning, intensify the chapter’s Be Honest advocacy, and strengthen the Family and Youth programs so as to promote harmony among members. 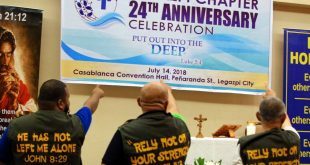 The Calamba Chapter is the oldest BCBP chapter in Laguna. 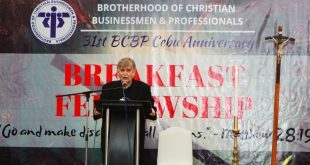 It started as a Breakfast Outreach of the BCBP Alabang Chapter in 1996, eventually becoming a new chapter two years later. The new Chapter Head of Los Baños, Bro. Vir Marilag, meanwhile, is taking the place of Amado “Bro. Mads” Dimapilis. Bro. Vir is only 48 years old and a full-time professor of the University of the Philippines Los Baños. He was a product of BCLP 3 of Los Baños in 2011. Over the years, he served as Music Ministry Head, AGL, Unit Leader, Course Leader for CLP, Marriage Retreat, and Formation Retreats. Bro. Vir is married to Sis. Chinky Ruth Marilag and they are blessed with three daughters, namely Viky Fiona (12), Veronica Jia (10) and Vernice Mary Candace (7). As the new CH of Los Baños, Bro. Vir is aiming to elevate their Cabuyao Mission into an Outreach, develop more leaders, speakers and sharers, increase their membership, have a 100-percent tithing collection performance, and intensify pastoral and community care. 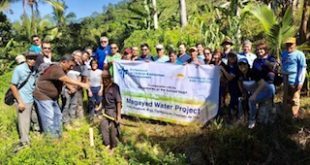 The Los Baños Chapter began as a Mission of Calamba in 2008 and became an Outreach in 2009 and as a new Chapter in 2016. The installation of the new CHs was followed by the formal induction by Regional Council Director for STR1-A, Bro. Edgar Ramilo, of the new Governance Teams of the two chapters.